Neymar played better than expecting! Neymar, who played for Brazil in the World Cup, recently came out of injury and took Brazil to the quarter-finals. Neymar's good performance from the injury to the World Cup! Neymar suffered a foot injury during a match against Marseille in the French league in February. He's a scary situation! Wondered about his World Cup game. Brazil could go to the 'Hexa' mission to leave the biggest advertising of their football in the country - no one could accept it. Neymar, who came out to play in the World Cup, was freed before the World Cup. Before the World Cup, there were two matches against Croatia and Austria. His commitment to his performance was to see a great Neymar in the World Cup. But that's where else. Neymar remained in the World Cup with his shadow. In the quarter-finals, Brazil lost 2-1 goals to Belgium. Despite losing, the coach has been impressed with the spirit of the Neymar's team and coach Cole. Neymar will play so well, coming back from the injury, he did not expect it, "Neymar, the man of the match against Mexico, after that match, I told him that you are now in your best form. Because, you are now able to understand properly, when your mind is thinking and how your body responds. Neymar was returning to the previous form after drubbing, taking a shot, coming back from a hurricane. 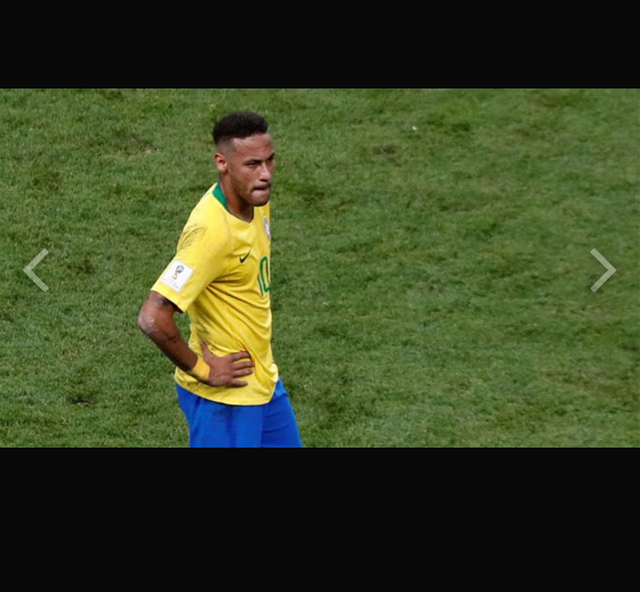 Neymar did not expect such performance or, as he said, "Neymar has played in this World Cup, I do not even expect him to come back from the injury, he will play so well." He is so talented and very dynamic. Neymar scored two goals and one goal in five matches at the quarter-finals. Who knows, if the final goes up, the Neymar might have been more visible. But it is not. Not to be missed, because of the spirited football of Vernon-Compani-Alderwiereld. The Neymar-flick could not be seen against Belgium. His fans were looking forward to seeing a few moments of magic from Neymar in the entire match.